‘Run for Sophie’ are a group with more than 30 members, 16 of whom are training hard to complete the 10km race and boost their fundraising total. Members of the group include Sophie’s Uncle, Hugo Clarke, 35, along with his childhood friends, Marc Emmanuel and Gurmeet Sahni, also 35. 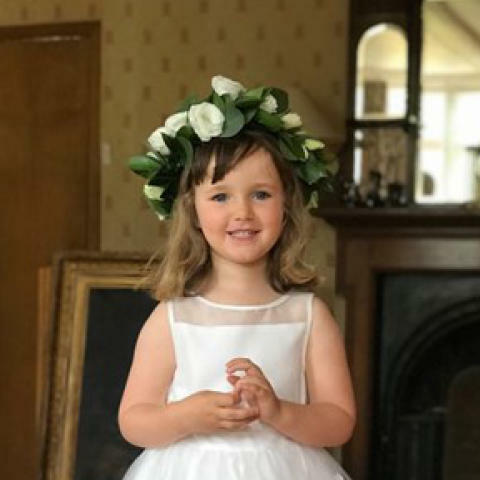 They are raising money to thank The Sick Children’s Trust for providing Hugo’s sister, Abbie, from Ealing, and her husband, Karl, with free ‘Home from Home’ accommodation whilst their daughter waited for a heart transplant at Great Ormond Street Hospital (GOSH). Earlier this year, Sophie collapsed suddenly without warning. Unbeknown to anybody she had developed coronary heart disease, a condition almost unheard of in children. She was rushed to her local hospital in Ealing, but quickly transferred across to Royal Brompton Hospital and then on to GOSH where she fell into a coma and was put onto a life-support machine. Urgently, her name went onto the heart transplant list, but sadly Sophie didn’t live long enough to receive a new heart and she passed away 12 days later. “The Sick Children’s Trust’s Rainbow House supported my sister and Karl with a comfortable place to stay during such a traumatic time. The ‘Home from Home’ was so close by, which meant they never had to worry about being separated from Sophie and could make the most of the precious time they had with their daughter. “Since we lost Sophie we have received so much support from our local community. It has been overwhelming, but an incredible tribute to our beautiful daughter, who was taken from us too soon. However, out of such a tragic situation, some good did come. Sophie was able to donate her kidneys after she died and we now know that she saved the lives of two grown men.